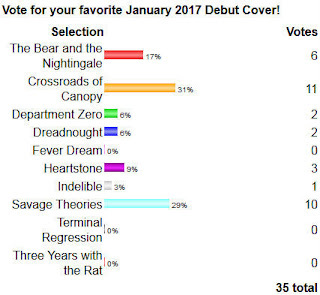 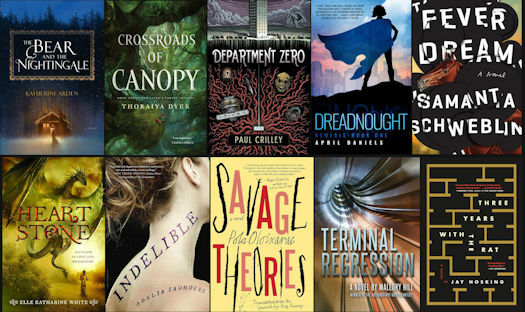 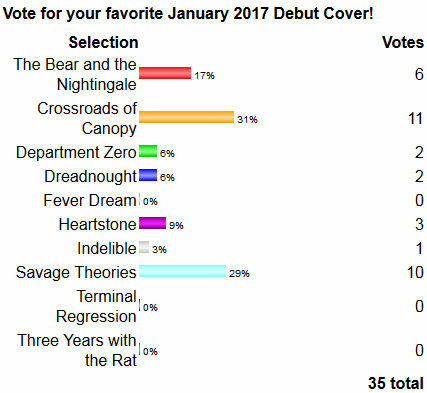 The winner of the January 2017 Debut Author Challenge Cover Wars is Crossroads of Canopy by Thoraiya Dyer from Tor Books. 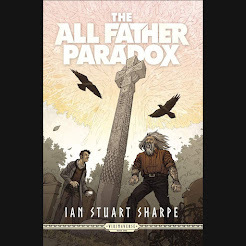 The cover art is by Marc Simonetti. 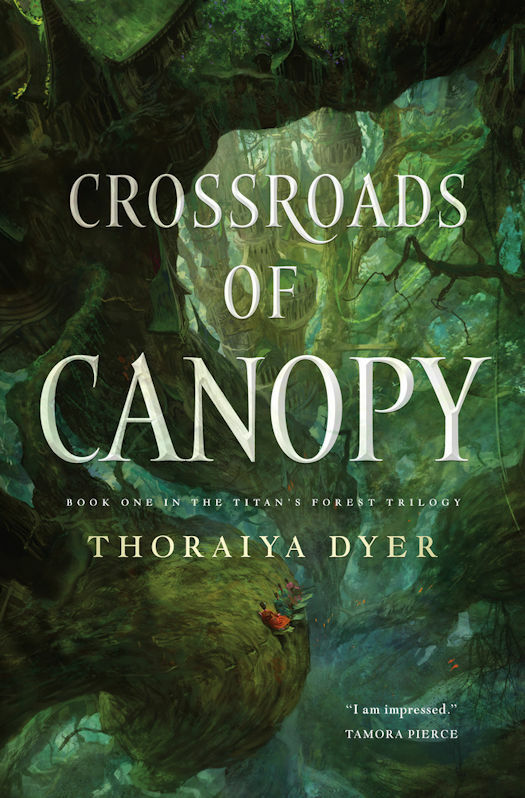 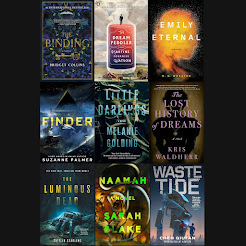 Unar, a determined but destitute young woman, escapes her parents’ plot to sell her into slavery by being selected to serve in the Garden under the goddess Audblayin, ruler of growth and fertility. As a Gardener, she wishes to become Audblayin’s next Bodyguard while also growing sympathetic towards Canopy's slaves.